Changes have arrived in our school nutrition program! We have hired a new school chef and a new school nutritionist! Leah Korger (Chef) and Jenny Breen (Nutritionist) . Leah and Jenny each bring years of experience in local food and affordable, healthy ingredients to a revamped menu and food offering starting in February. Our commercial kitchen was finally completed in December and Donna Goodlaxson has been teaching our lower adolescent occupations students in the space - cooking and studying food systems. So, you may be asking: When does the homemade hot lunch start!? The wait is getting shorter and shorter until we’re producing delicious, sustainable meals inside our very own, newly licensed commercial kitchen! We’ve been excited to see community members utilizing our coffeeshop space more and more - please stop in for a student-made granola bar and warm beverage soon! …and more! Leah and Jenny tell us “As we settle in and develop efficient systems we will be increasing the variety of options and increasing organic/local purchasing. We’re excited to hear what feedback the school community has once we begin and will be using it to guide the program moving forward!” Jenny Breen will be taking the lead on wellness group meetings and planning family events to welcome us all into the school to eat together and experience good, whole cooking for every family. Our previous team of Mary Hunn and Renee Havelka have moved on to other employment and we wish them well. Pleas join us in welcoming Leah & Jenny and the wide breadth of experience they both bring. Read their bios below and say hello the next time you’re in the building! Growing up, I was never a stranger to healthy food or how it grew. My grandparents owned a potato farm in Wisconsin and my parents cultivated towering blueberry bushes in our backyard. My interest in food and agriculture grew when I focused on a Human Biology - Nutrition degree from the University of Wisconsin-Green Bay. After college I have completed apprenticeships on organic farms, served a year connecting kids to healthy food with the FoodCorps, and most recently was managing the commissary kitchen for the Wedge and Linden Hills Coops. I am excited to bring some scratch cooking to a school setting and connect the school community to local farms! 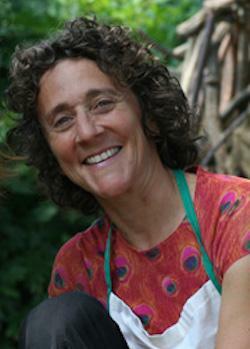 Jenny Breen has been a professional chef and advocate for local food and healthy food systems since the mid 1980’s. She has been working in the field of education for over 25 years, and received a Master’s of Education and visual arts in 1993. After years of working in the food industry in Minneapolis, she opened and co-ran a farm to table restaurant from 1996-2001, and a local foods catering company until 2009, when she received a Bush Leadership Fellowship to pursue an MPH in Nutrition at the U of Mn. Her vision is to build networks within health and food systems for greater access to food, support for sustainable farming, and to promote cooking as a health and community building strategy. She has worked in and collaborated with numerous food and farming non-profits, and now contracts as a culinary nutrition public health educator with local health departments, school districts, non-profit food and farming organizations and health care institutions as a partner with The Good Acre agricultural food hub. Jenny’s work makes food and cooking relevant to the bigger picture of health for people, communities and the planet. She shares a love of food, learning and well being, and brings a dynamic combination of skills, leadership, passion and experience to her work.